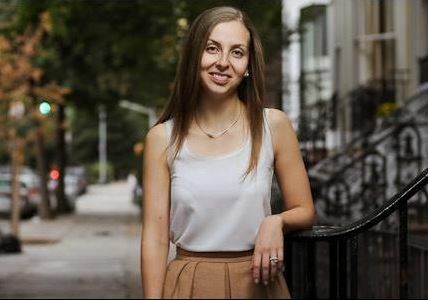 At this time last year, uttering the name “Maria Konnikova” would’ve likely elicited a “who?” from most poker fans (unless they happened to also be avid readers of The New Yorker). That’s quite astounding when you consider that she is now one of the most talked about people in the poker world. The author’s dive into poker as a complete novice is well-chronicled, in part thanks to her recent victory in the 2018 PCA National Championship. However, while it might seem to be the case, her rise to prominence in poker is not akin to an “overnight success” story. Indeed, Konnikova has earned her stripes at the felt the hard way, by putting in the hours to study and improve at the game. With such a vastly different background than most professional poker players we usually interview, Maria’s openness and candor help to offer up a truly unique perspective and make for a refreshing read. It’s clear that she has developed quite the following in the poker world, attention that has been well-earned via her obvious and inspired dedication. Her story is proof that even in an era in which poker has gotten so much tougher, hard work (along with a healthy dose of raw talent and natural aptitude) can still pay off big time. In this interview, we take a closer look at her intense study regimen and discover the other weapons she has in her arsenal that have helped made her a force to be reckoned with at the poker tables. 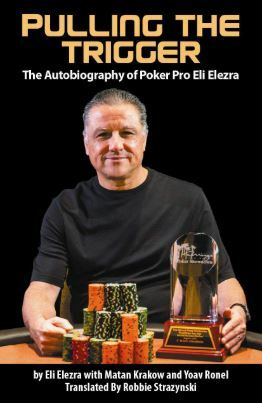 You made a huge splash when you first entered the poker scene back in March of last year, with the announcement of embarking on a year-long journey under the tutelage of Erik Seidel. 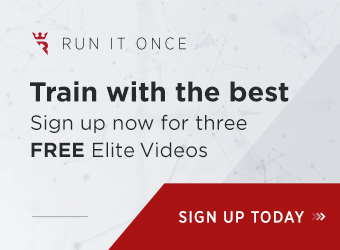 How did you first establish a relationship with him and how long did it take from that first acquaintance until you two came to an agreement for him to coach you for the year? I approached him cold – it helped to have a journalistic background, where I felt comfortable randomly approaching incredibly accomplished people. I explained the project to him, and fortunately, he found it intriguing enough to sign on. 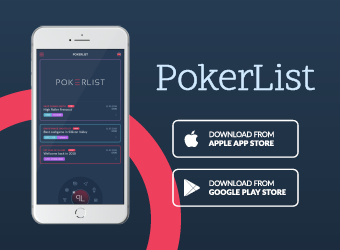 Very soon after you started your immersion in poker, you became a Friend of PokerStars. How and at what point did the world’s largest poker site become interested and involved in your year-long project? Erik made the initial introduction, a little while after we first started working together, after I’d played some tournaments and had some preliminary success. 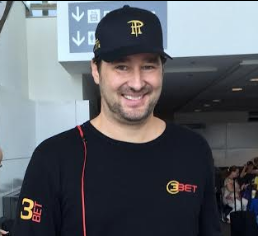 I then met with some PokerStars higher-ups (chief among them Eric Hollreiser) and explained the project. They were incredibly open, enthusiastic, and supportive. I was lucky that people like Eric believed in my vision for the book and were willing to support the journey, even though there was no immediate payoff in doing so. What stakes did you start at, what stakes are you currently playing for (now that you’re more than half a year into the project), and how many hours a week are you usually playing? 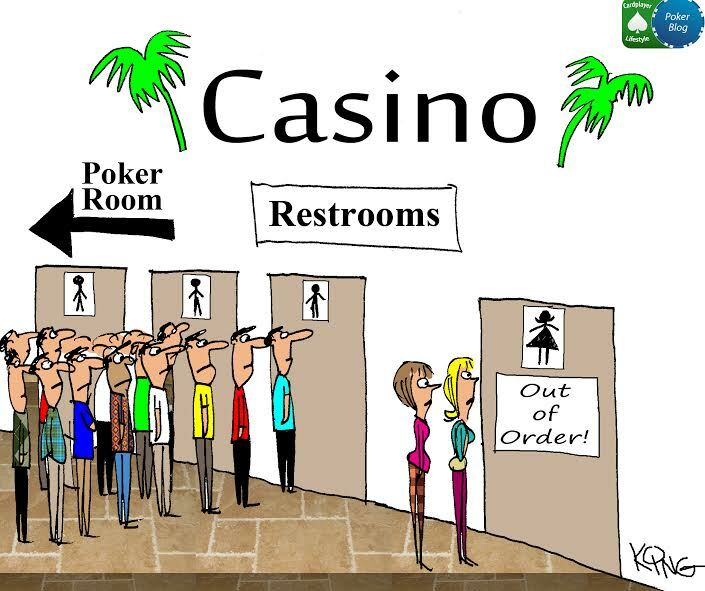 Has any part of your journey thus far included playing cash games? I actually don’t play cash. I’ve focused exclusively on tournament play. That said, I did start at the lowest level – $20, $40, $60 tournaments. Until I started winning consistently at that level, Erik Seidel didn’t want me to move up. I did the same thing all the way to where I am now: move up in stakes, get to the point where you’re a winning player, and then move up again. 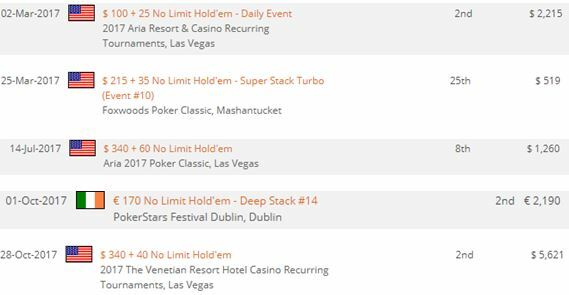 I now mostly play $1k-$5k buy-in tournaments and try to play at least one stop a month, sometimes more. I also play online at PokerStarsnj.com. 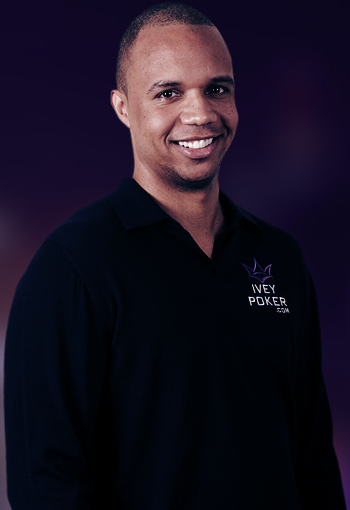 Your journey has included a great deal of travel around the world to play in a number of prestigious poker tournaments. Do you find the game being played differently in different parts of the world? Yes, for sure. I don’t really want to get into the specific differences here, but broadly speaking, some parts of the world have much looser players. And the way that people view female players certainly changes; I try to use their own biases against them as much as I can. In December 2016, you wrote a very interesting article entitled “How to Build a Time Machine.” If you had a time machine but could travel to just one moment (and then back to the present), would you travel to the past or to the future, to where and when specifically, and why? It’s common for Americans to speak only English while Europeans, by contrast, are often fluent in multiple languages. That said, proficiency in six languages is something special. Given that you’re Russian-American, two of the languages you speak are “obvious,” but how is it that you also know Spanish, Italian, French, and Persian? I grew up speaking Russian, English, and French, the latter because I was jealous that my older sister got to study it in school. I learned Spanish in school and then studied abroad in Spain for a summer in high school. I took an intensive Italian course for French and Spanish speakers my freshman year of college, for the sole purpose of reading Dante in the original (I took a course in Dante the following year) and have spent a good amount of time in Italy – one of my favorite places in the world. And I took Persian my junior year of college because for one mistaken second, I thought I wanted to join the CIA. Here’s a quote from an article on bilingualism that you wrote a couple years ago: “When the brain keeps learning, as it seems to do for people who retain more than one language, it has more capacity to keep functioning at a higher level.” To what extent do you feel that speaking six languages has helped you at the poker tables? To a huge extent. Poker is like another foreign language itself, and one I’m eagerly picking up. It’s also remarkably useful to understand players at the table when they have no idea you speak their language. They tell you all sorts of useful stuff! 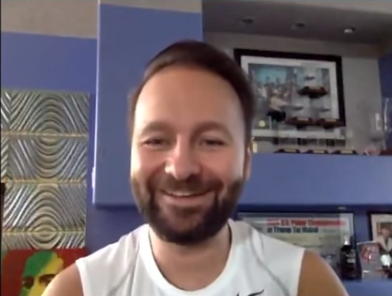 You mentioned in previous interviews that you’re trying to see if you can become competitive in poker using psychology specifically, rather than the “GTO mathematical approach.” That’s part of the reason why you specifically approached Erik to coach you. On the other hand, you’ve also mentioned that a number of the well-known high rollers like Fedor Holz, Steve O’Dwyer, Dan Colman, Jason Koon, Phil Galfond, and Andrew Lichtenberger, have helped you in some way. By and large, however, those are guys who’ve put in the work to master the math. 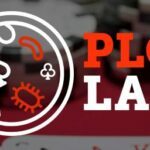 How does getting better acquainted with and working with those pros fall in line with taking a purely psychological approach to the game of poker? I never said my approach was going to be “purely” psychological, merely that my edge lies in psychology. I understood early on that you can’t excel in today’s game without studying the math and learning those tools, as well. People like Phil Galfond and Jason Koon have been crucial in helping me ramp up on those elements. They’ll help me through specific spots where you really do need to know the mathematical side of things. I’ve even started working with solvers! It’s all part of the game, and I think you need to understand all of the pieces to do well. I also know I’ll never be as good at the math as those guys are; psychology will always be my strength. But I’m doing my best to understand the mathematical side and apply it as well as I can. 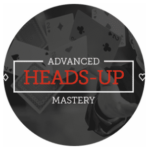 I’m aware that you’ve taken Upswing Poker’s Advanced Heads-Up Mastery Course. You’ve said that it’s been “amazingly helpful” and that you “put it to good use” in the final stages of your big win at the PCA. What do you feel you gained the most from that sort of “lab” study? It has helped me think through hands and ranges in a different way. I felt like I was weak in short-handed play, so took the course to help me ramp up and teach me to play in situations where ranges are much, much wider than they ever would be at a full table. 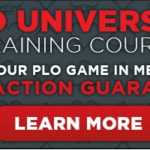 The course was very mathematical and I think it helped me get a better grasp of those strategies. When I came into the final table at the PCA National Championship, I felt much more confident than when I was at past final tables. And when we got it down to four-handed play, I really felt like I had a better edge. Heads up lasted less than 15 minutes – and I have to think that the Upswing course was part of the reason why. I also studied heads-up play on runitonce.com, watching a bunch of videos from people like Kevin Rabichow and Ben Sulsky and taking lots and lots of notes. You’d had 13 cashes for a total of just over $30,000 prior to the 2018 PCA. Your first-place finish in the PCA National Championship marks your first tournament win and boosts you to well over $100,000 in career winnings. Considering that you quite literally didn’t even know how many cards were in a deck when you began this journey, your progress as a player has been pretty darn remarkable. It’s such a cliché question, but how does the win feel? Did you expect that a win in such a prestigious event would come at any point during this year? It feels incredible, and incredibly validating. 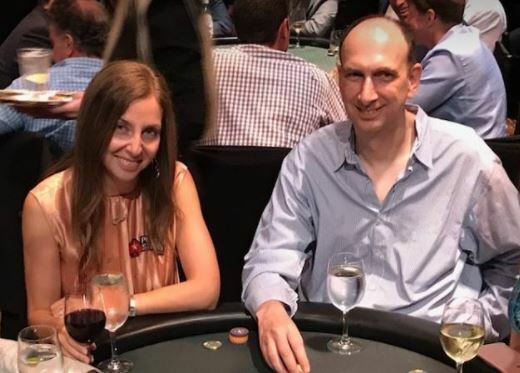 I feel like I’ve also validated the trust that so many people have put in me – Erik Seidel first and foremost, of course, but also the whole team at PokerStars. I’ve been working incredibly hard, and this win makes it feel like it hasn’t gone to waste. 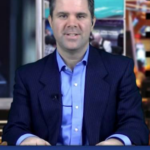 From May to May is an interesting choice of when to start/end your poker year. Why did you choose that month in particular? Well, the timeline has changed! Originally, it was because of EPT Monte Carlo forming nice little bookends to the project. But as with all books, it’s an evolving journey. And now that I’ve won a Platinum Pass for the PokerStars Players Championship 2019, well… something tells me that $25k event is going to be part of the story. Pokering it up at #PSFDublin. I think I need to work on my poker face. 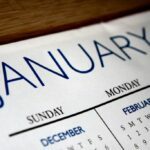 After the successes you’ve experienced over the course of the year and the amount you will have improved as a player, notwithstanding the stated purpose of your year-long project, it seems impossible to just completely walk away and “get back to life” just prior to the start of the WSOP this summer. Do you see yourself extending your poker year for another 6–8 weeks, until after the 2018 WSOP Main Event? Ha! I anticipated this question in my last response. Yes, there will definitely be some extensions happening. 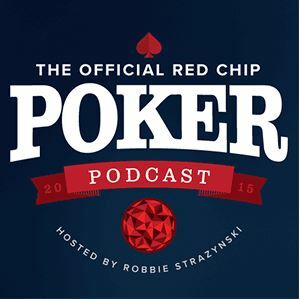 I’m planning to play a full WSOP schedule, and then, we’ll see! You gave a very interesting TEDx talk back in 2014 about choice. During that talk, you say “We never want to commit to anything. In a world of choice, commitment is a gift… Once we choose; once we commit, we become happier; it makes us value what we’ve chosen.” You’ve obviously made a very bold commitment. Results aside, have you found happiness thus far since embarking on your poker journey? Yes. I’ve found this whole journey incredibly fulfilling, intellectually and emotionally. I’ve made some incredible friends, and this is the single most challenging thing I’ve undertaken since I decided to become a professional writer. I think poker will always be a part of my life now. Finally, you haven’t updated your blog since July of last year. That’s understandable, given the amount of time you’re investing into studying and playing poker. Can fans expect to see somewhat more frequent updates from you anytime soon or should we just wait patiently for your next book – The Biggest Bluff – to be released. Umm…… no promises. But I’ll do my best. These days, I think most updates come from a combination of Twitter, Instagram, and Facebook. Between those, my journey is pretty well chronicled. You rock, Fritz! Thanks, as always, for reading, and for the very kind words. That means a lot to me.